American Development Co.: The Occupancy Rate In Playa Del Carmen! 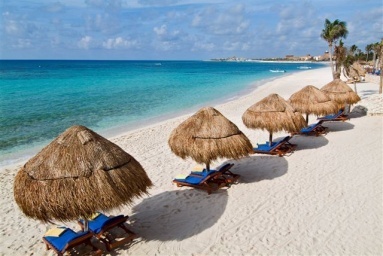 The Occupancy Rate In Playa Del Carmen! Playa Del Carmen, located in the Riviera Maya in Quintana-Roo, this area is very famous in Mexico but also outside the country. Attracting on one hand many Mexican tourists who want to go away from the city activities for a week-end, or who want to gather with their family in a nice place to relax during days-off, for example. On the other hand, for many the town is one of the favorite places for many North Americans from United States and Canada, as they can land directly in Cancun, which then is only 45 minutes in a bus to Playa Del Carmen, from their hometown airport. It only takes a few hours to travel to Cancun. For instance, only 2 hours from Miami. Sometimes, it is faster to reach the United States than Mexico City. For weeks now we have been checking out the daily or weekly reports from Quintana-Roo State about the region and all the different actualities down here, it turns out that the average occupancy rate of hotels in Playa Del Carmen is around 80%!! And that is steady all throughout the year. So far, we did not see a week with an inferior occupancy rate less than 80%. This rate is rather amazing as soon as you know that Playa Del Carmen has about 40 000 hotel rooms!!! This rate in Playa del Carmen is the highest in the Riviera Maya. It overcomes Cancun’s rate and also Cozumel’s and Tulum’s as well! Lucky Playa Del Carmen! If you are not part yet of the statistics of the occupancy rate, what are you waiting for? Come see why so many North Americans and Mexicans are travelling here year after year. Book as soon as possible so you can discover and enjoy this Caribbean Jem! The Eastern week-end in Mexico! No more danger with Hurricanes in the Caribbean! Business Meeting In Puerto Vallarta! The French version of Canada2Playa!! !